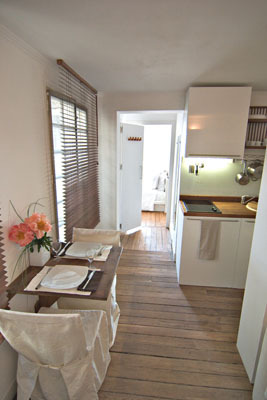 Stylish 24 m2 top floor apartment, recently renovated and fully equipped by the owner, who is an interior designer. 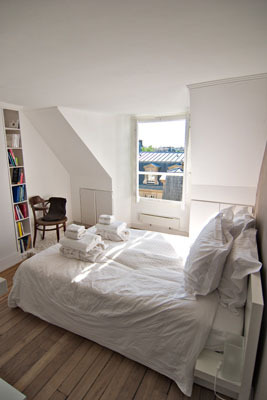 Featuring hardwood floors and great views of parisian rooftops. The living room has an open kitchen and is equipped with a pull out couch. 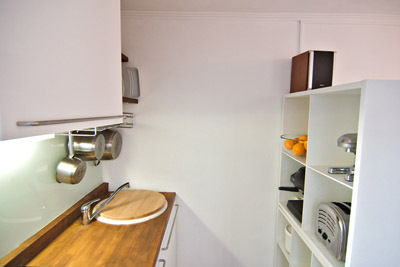 The bedroom has a double bed, ample storage space and a reading table. 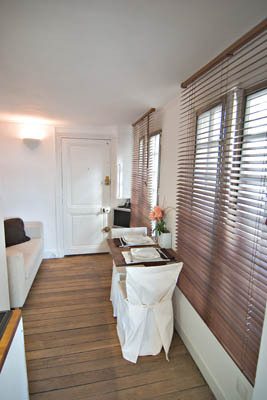 It is superbly located in the heart of the hip and trendy Haut Marais; a stone's throw from vibrant rue de Bretagne with its cafés, restaurants and market, yet on a quiet street ensuring a peaceful sleep. Picasso museum, Place des Vosges, the Pompidou center are a 5-10 min walk and Republique station on the just renovated square is a major node, with direct metros to most major tourist attractions. 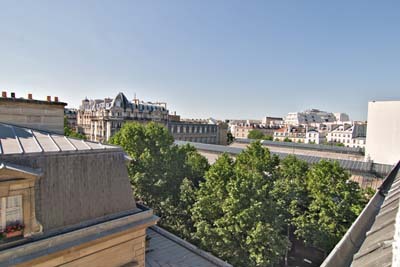 Located in a 150 year old parisian building, it is an easy walk-up to the 6th and last floor where one is undisturbed by surrounding noise and can fully enjoy the breathtaking views. With its 4 large windows, it is filled with light and the permanent cross-breeze ensures coolness even in the hottest of summer days. 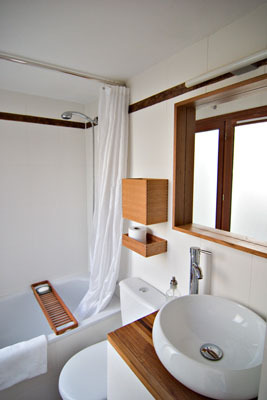 In the winter, individual electric heaters in each room ensure a comfortable cocooning temperature. Welcoming is done by the owner or a trusted native anglophone professional greeter, who will be at the guests' disposal throughout their stay. Plenty of guides and reading material are at guests' disposal and tips on restaurants, things to do, local hideouts etc. 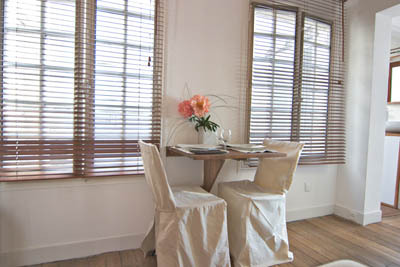 are shared with them, in order to ensure a true parisian experience.